Gov. Godwin Obaseki of Edo on Monday said his administration was committed to strengthening the state judicial system for optimal service delivery and sustenance of the democratic process. He said this while swearing in two new justices of the state high court at the Government House, Benin. They are; Mrs Orobosa Omotoso and Mr Terry Momodu. The governor said, “We have realised that without an effective judicial system, it will be impossible to practice our democracy and we are proud of the reputation of the entire judiciary in the Edo. “We constantly celebrate the fact that at a certain time when allegations were being regularly made regarding judges, our judiciary remains well respected and scandal free,” he said. He said that he hoped the new justices would perform their duties judiciously at all times and build on the legacy left behind by their predecessors. Justice Omotoso, who responded on behalf of her colleague commended the governor for his administration’s resolve to reposition the state judicial system. Omotosho pledged that she and her colleague would be committed to their duties. 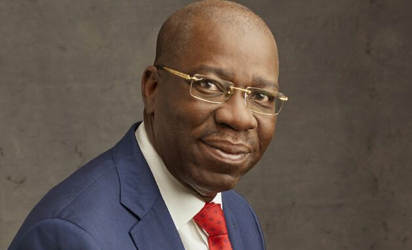 The post Edo committed to strengthening judicial system for optimal service delivery-Obaseki appeared first on Vanguard News.